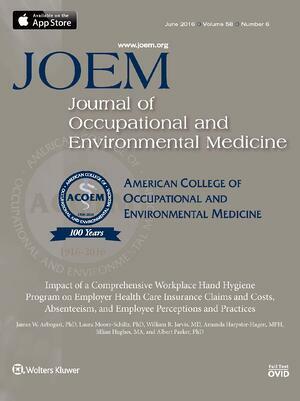 Can a comprehensive hand hygiene program improve employee health and wellness? It is estimated that communicable diseases lead to millions of lost days at work, schools and universities each year. These lost days lead to rising healthcare costs and lost productivity which costs U.S. employers $576 billon dollars annually – not to mention being a total drag for the people who are sick. And what is a primary reason workers are getting sick? Office spaces are virtual Petri dishes for cold/flu bugs and other germs and bacteria. Employees can potentially transfer their germs to other co-workers by simply touching a door handle, reaching for a pot of coffee, or using a copy machine that has already been used by a sick co-worker. Since up to 80% of all infections get spread by hands, it stands to reason that an effective hand hygiene program can have a beneficial impact on workplace wellness. A recent 13-month study conducted by Medical Mutual of Ohio and WAXIE’s vendor GOJO was the first to prove a direct link between the availability of a comprehensive hand hygiene program and a reduction in healthcare insurance claims tied to hand hygiene preventable illnesses. As companies strive to improve the health of their workforce through workplace wellness initiatives dealing with diet, exercise and preventative healthcare, this study finds that a comprehensive hand hygiene program pays for itself with hard cost savings, while also offering the fringe benefit of improved employee morale. The PURELL Advanced Workforce Solution™ is a comprehensive hand hygiene program which consists of PURELL® Advanced Hand Sanitizer, PURELL Hand Sanitizing Wipes and a GOJO® Sanitary Sealed Soap system, similar to the WAXIE Select NRG No-Touch Foam Handwash System, the WAXIE Select No-Touch Foam Handwash System, the WAXIE Select Manual Foam Handwash System or the WAXIE Counter Mount Foam Soap System. Your local WAXIE Account Consultant can work with you to determine the right mix of dispensing systems and placement to help you create a healthier and more productive workforce at your facility.